Dr. Desai is a Harvard University educated, double-board certified, double-fellowship trained Plastic, Aesthetic, and Reconstructive Surgeon who practices in Beverly Hills, California. Dr. Desai is a Harvard University educated, double-board certified, double-fellowship trained Plastic, Aesthetic, and Reconstructive Surgeon. He has trained for twenty-years since graduating high school to become a Plastic Surgeon. He has worked, been educated, and trained at the worlds most prestigious institutions including Harvard, Columbia, MIT, Brown, Mt. Sinai, Tufts, Miami, and the New York Eye & Ear Infirmary. He has worked in all three epicenters of Plastic Surgery in the United States: Beverly Hills, Miami Beach, and Manhattan-New York City. 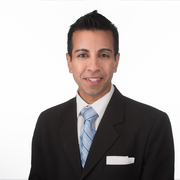 Dr. Desai is a member of the American Society of Plastic Surgeons (ASPS), the American Society of Aesthetic Plastic Surgeons (ASAPS), Los Angeles Society of Plastic Surgeons (LASPS) and the American College of Surgeons (ACS). Dr. Desai’s work has recently been profiled on various national and international news outlets including CNN, Good Morning America, Nightline, NBC News, ABC News, and CBS News among others. Sólo tienes que subir tres fotos estándar ahora para ver una simulación 3D en tu próxima cita con Dr Urmen Desai. Visualiza tu cuerpo o rostro actual en 3D antes de la consulta y obtén acceso desde casa a tu nueva imagen después de la consulta para poder compartirla con amigos y tomar una mejor decisión. Después de la consulta, Dr Urmen Desai puede darte acceso para ver tu "nuevo yo" desde casa, con tu propia cuenta Crisalix. Esto te permitirá compartirlo con tu familia y amigos o con cualquier persona a la que quieras pedir opinión.